What does I and Thou say? 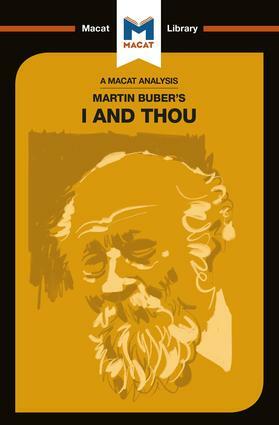 Why does I and Thou matter? Dr Simon Ravenscroft is a Research Associate at the Von Hügel Institute for Critical Catholic Inquiry at St Edmund’s College in the University of Cambridge. His research interests run across the disciplines of theology, philosophy, social theory, and literature. His doctoral dissertation at Cambridge (2015) looked at the relationship between society and economy through an analysis of the work of the Catholic radical Ivan Illich.